Have you seen the ColorFeelings series? This is a collection of books aimed at helping young children identify and talk about their feelings. Dr. Rona Miles writes in the forward WHY this is an important skill: "...children who are able to recognize and express feelings have a much easier time forming friendships, navigating social situations, and managing their emotions." I'm pretty sure that all teachers of young children would agree with that! 1. The books are simple, but to the point, with colourful and uncluttered illustrations. They have a "colouring book" feel to them but are great because they focus completely on the topic; there are no distractions. 2. Each book focuses on one emotion at a time and associates that emotion with a specific colour and a particular animal. These animals appear in each other's stories, which adds a lovely continuity. 3. Each book also follows the same format. It introduces the feeling, associates it with a colour, talks about how it makes the character's body feel and gives lots of possible examples for the cause of that emotion. 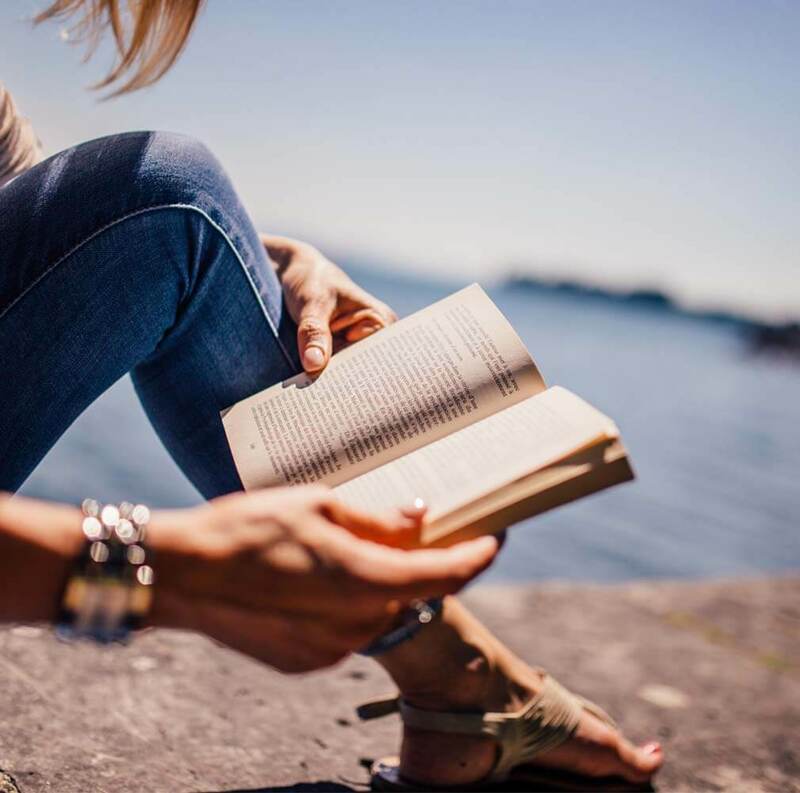 The books wrap up with ideas for coping with that particular feeling. 4. Each book includes worksheets for further exploration. I'm not a worksheet kinda gal, but these are open-ended enough that I can see myself using them. I introduced the series to my class beginning with Happy. Before I showed them the book, we watched Pharrell Williams' video "Happy". 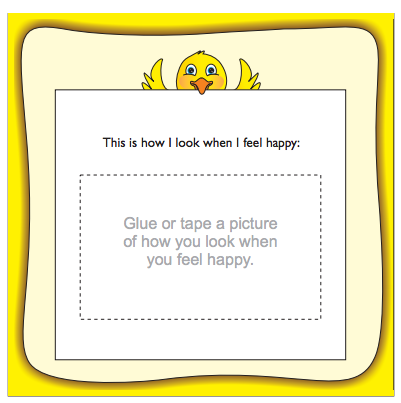 After reading the book we talked a lot about feeling happy and then the kids wrote a response in their books. 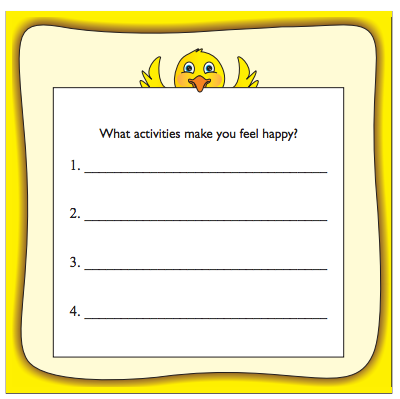 "I feel happy when ...."
I've now read Happy, Love, Anger and Sad to my class. When I pulled out Anger yesterday they actually cheered. And a couple of kids even asked, "Do we get to write our response?" While I'm reading the book aloud, I often pause and ask them to turn and talk to their partners. They love doing that and I like how it gives everyone a chance to talk and share their thoughts without taking up a whole lot of time. If you'd like a closer look at the books you can find them at Bright Awareness Publications. Another great extension would be to read My Many Colored Days by Dr. Seuss and follow it up with this colourful art activity! Thank you to Mrs. Maynard's Art Room for this idea. For some more ideas that would work especially well with pre-schoolers and kindies, check out Liz's collection of ideas from Liz's Early Learning Spot. That's it! Hope you enjoyed this book review. Disclosure: Bright Awareness Publications gave me these books in exchange for a book review. The opinions are all mine. Thanks for the link to my blog, Barbara! I have added a link back to you within my post for readers who are interested in reading a review of the Color Feelings books. Cheers! You're welcome, Elizabeth, and thanks very much! A great book in the hands of a great teacher can really ramp up the power of a lesson! I hadn't heard of these books before. Thank you for showcasing them. 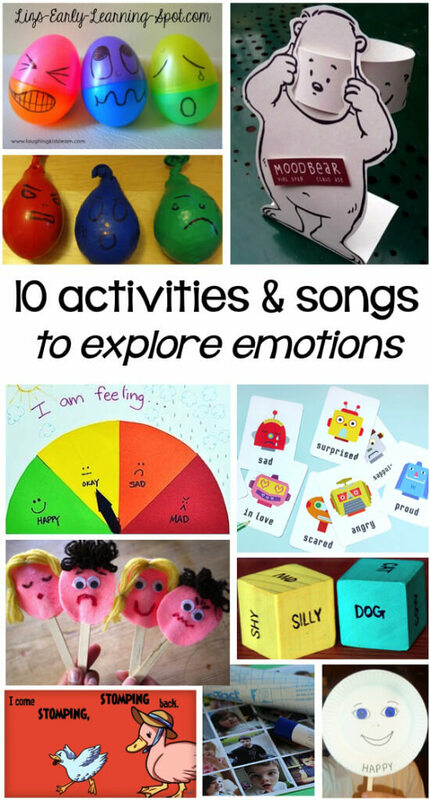 I do think there are a lot of little ones who need some help with their emotions and feelings and these would definitely help!